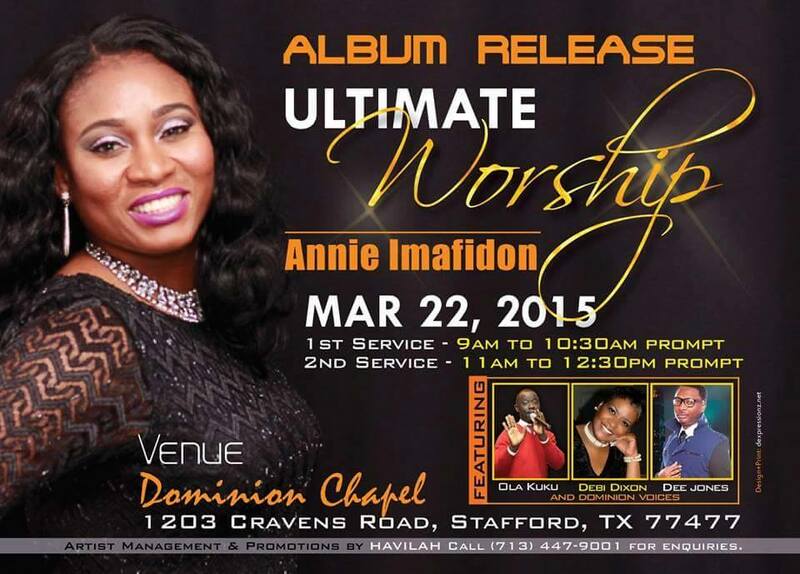 Join Annie Imafidon and other anointed music ministers as her new album “Ultimate Worship” is released on the 22nd of March at R.C.C..G Dominion Chapel, Stafford Texas. You don’t want to miss this awesome time of worship. Be there! !